Your prom is one of those highlight moments that you will undoubtedly remember for the rest of your life. It's why you'll want to be wearing an amazing dress. At PromHeadquarters.com, we have a fabulous collection of dresses for prom that include pieces from today's hottest designers. You will find selections from top names in fashion like Sherri Hill, Morilee and Rachel Allan. If you're concerned about shopping for a dress online, don't be. Our site is incredibly simple to navigate. 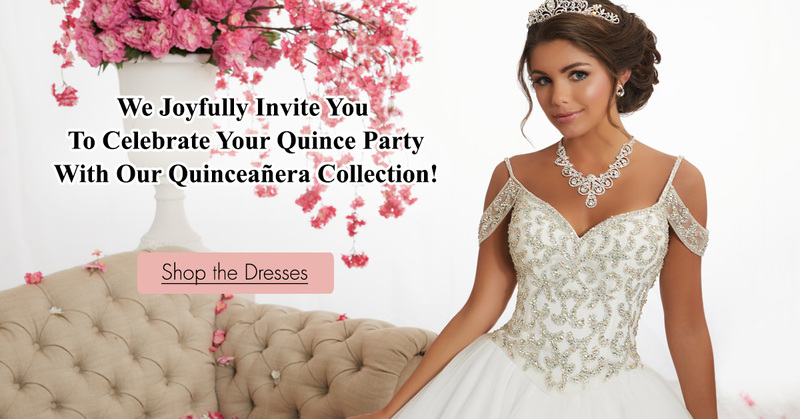 We offer you easy search options that allow you to shop for your special dress by color, style, designer and even by the trendiest looks for the season. You will be surprised at how hassle- and worry-free it is shopping at PromHeadquarters.com. We've got a wide variety of prom dresses, homecoming dresses and more, so we're sure you'll find the style that matches your precise vision, whether it be glitzy and glamorous- maybe a stone-studded silver or platinum style - or tried-and-true (emerald, anyone?). Our collection is updated every year, so you won't be looking at throwback styles here. We pride ourselves on providing our customers with the widest selection of the most fashionable designs, colors and trends available. Whether you want trendy two-piece gown, a plunging deep V-neck style or something more classic like a ball gown, we have the style you want.